The recently completed feature film will have its World Premiere at the Santa Barbara International Film Festival (sbiff.org) in the Independent Competition section, at the end of January 2014. Based on a true story, the film follows the courageous Christina Noble who overcomes the harsh difficulties of her childhood in Ireland to discover her destiny on the streets of Saigon, fourteen years after the war. Philanthropist Christina founded the Christina Noble Children’s Foundation and it is dedicated to serving underprivileged children with the hope of helping each child maximise their life potential. Christina has programmes in Vietnam and Mongolia dedicated to making sure children have access to basic care and educational opportunities. 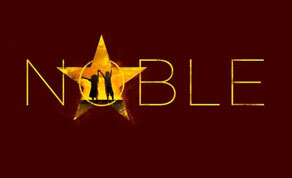 Filmed in Vietnam and the UK, ‘Noble’ has a talented cast including Deirdre O'Kane (Moone Boy), Brendan Coyle (Downton Abbey), Liam Cunningham (Game of Thrones), Ruth Negga (World War Z), Nhu Quynh Nguyen ( Indochine) and Sarah Greene (The Guard). Shot on widescreen 35mm, ‘Noble’ is written and directed by Stephen Bradley. The film is produced by Melanie Gore-Grimes and Stephen Bradley, with Michael J. Hunt acting executive producer through his private equity investment company Ansty Productions. Nick Laws (production manager on ‘War Horse’, ‘Blood Diamond’, ‘Constant Gardener’) serves as line producer. The director of photography is Trevor Forrest, winner of the 2012 Tribeca Film Festival award for Best Cinematographer (‘Una Noche’,‘Grabbers’). Other key department heads include editor Mags Arnold, costume designer Charlotte Walter, hair and make-up designer Marese Langan, and composers Giles Martin and Ben Foster. Director Stephen Bradley is now scheduled to direct his own screenplay ‘The Unknown Soldier’ starring Golden Globe nominee Cillian Murphy. He is also writing a comedy feature called ‘The High Five’.